Sweet Treats Rubber Ducks - A Candy Lovers Favorite! Sweet Treats Rubber Ducks are a twist on the classic rubber duck. Each duck has a sweet side...cupcake with sprinkles, a swirly sucker, or an ice cream cone! Sweet treats ducks are 2 - 2 1/2". Note: These Ducks tend to tip over in water! 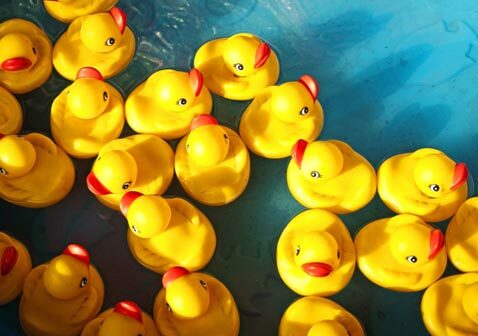 They are a cute and fun collector's item but do not work perfectly as floating rubber ducks!